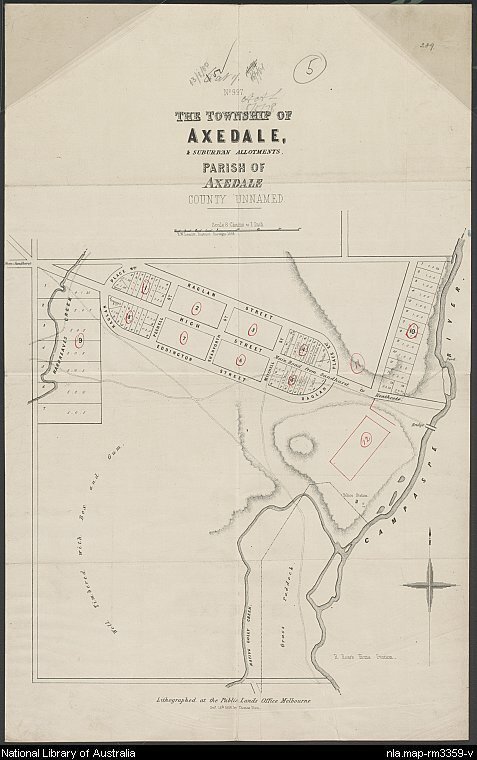 This map can be found in the Digital Maps Collection, at the National Library of Australia. The map which was surveyed in 1858 is mounted on linen and measures 44.9cm X 28.4cm and shows land holdings and newly subdivided land. Can you see where you live today. I’d love to hear in the comments below, if you can see your block. 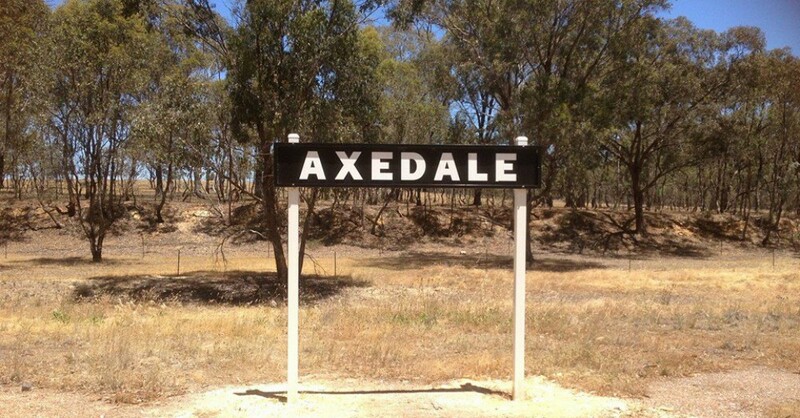 This entry was posted in History and tagged Axedale, History, maps, Victoria by Jennifer Jones. Bookmark the permalink.